It is more important these days than ever to have a resume which speaks to employers. Your resume is often the first impression potential employers will have of you; as everyone knows, the first impression is crucial and rarely is there an opportunity for a second chance. Your resume is likely the only contact you will have with a company at this critical initial phase, so, it is essential to make it as professional as possible. For any given job, employers could receive tens, if not hundreds of applications. As a result, employers usually spend a matter of seconds reviewing a resume; if their attention is not earned within the top quarter page of your resume, it will likely be relegated to the reject pile. Years of experience will not get you hired if employers rushing through a stack of resumes cannot clearly see your qualifications. Your goal is to make certain your resume sets you apart from the rest of the pack and gets you noticed as the right candidate for the position. The expert resume professionals of Fort Lauderdale understand today’s job market and what it takes to get a resume noticed in every industry. The job market today is historically the most competitive yet. Unlike just a couple of decades ago, virtually all employers and applicants have access to the Internet. Nearly everyone is carrying a small device in their pockets with constant and immediate access to the Internet with many of the same capabilities they have on their computers. With all of this portable technology, business is not only conducted during business hours. Employers potentially cull through resumes during their commutes or at home. Moreover, job seekers are utilizing job hunting programs and services to learn of new position postings and submitting their resumes to hiring managers first. How do you compete in this critical job market amidst all the technology? The answer is simple: with an outstanding resume. As mentioned previously, your resume is your first and often only chance to make an impression on an employer who may spend, according to a major job seeking website, less than 7 seconds reviewing your qualifications. With so little time to make an impression, your resume needs to be concise, readable, and attention grabbing. The reality is, the resume which earned you a job for which you were hired 10 years ago may not be effective today. Instead of trying to polish an outdated resume, having your resume written by professionals who know what challenges job seekers encounter and understand the review standards of employers could revolutionize your job search. The Plantation and Fort Lauderdale resume experts will tailor your resume according to the type of job you want. There really is no one standard resume for every type of job or company. Moreover, no two people are the same; everyone has varied previous employment experience, education, and backgrounds. For instance, someone looking for a senior level position will have a radically different resume than a person fresh out of college hoping to land their first job. Both job seekers are facing challenges to get noticed, albeit in different ways. In order to represent your individual strengths, you must first know what employers in your field are looking for in their candidates; then you need to build a resume which best reflects what you can do for the potential company in which you are interested. Professional resume writers can take your resume to a higher level, making it more relevant and interesting to potential hiring managers in any field. The professional development of your LinkedIn profile could be the extra nudge an employer needs to consider you the best candidate for the job. Although it is important to have a professional looking resume to convey your professional worth, it is not your resume alone which makes you attractive to potential employers. In this age of social media, your reputation could proceed you, so, why not put professional social media to your advantage? The reality is, more than three-quarters of all job listings are posted on LinkedIn; what is more, nearly half of all job openings are only posted on LinkedIn so those not using the platform to its fullest advantage are missing out on many opportunities. 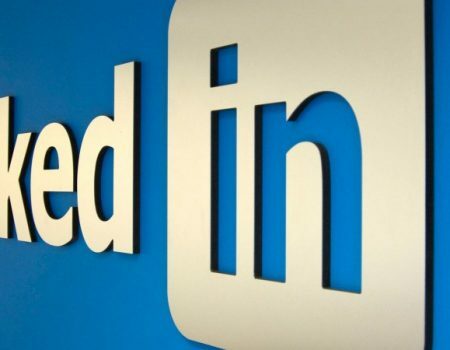 Employers have come to rely on LinkedIn as a first look into a potential candidate’s communication skills as well as their knowledge in their chosen field(s). LinkedIn offers employers a glimpse of who you are in the business world before they actually meet you; what they see can make or break your chances. A professional LinkedIn profile could prove to employers you are alert to today’s job market. Many people who are intrigued by a professional resume may immediately proceed to your LinkedIn profile as the next point of reference for your qualifications. Potential employers can review your LinkedIn profile at any time; therefore, it is important your profile reflect who you are in the most professional light. Recent college graduates in the greater Fort Lauderdale area need effective student resumes to stand out from their peers as they transition from school to the working world. Whether you are a student looking to land an important internship or your first job, you may face challenges including lack of job history and experience in your chosen field. The good news and bad news is very often you are competing against people in the same position which is why it is so important your first impression, your resume, needs to stand out in front of employers. Very often a student’s work experience is either non existent or unrelated to the jobs they seek. The summer job scooping ice cream they went back to every year since ninth grade may not seem that relevant to hiring managers in the business world, or is it? Properly representing even what might seem like unrelated experience in the right way on a resume will make a candidate stand out from potentially hundreds of people with very similar educational backgrounds vying for the same job. It is important for students to represent their education clearly and concisely on their resume. This does not just mean listing their college, major(s), and grade point average. Student resumes shine when they showcase internships, leadership roles, affiliations, and volunteer work in addition to where and what they studied. Employers hiring students fresh from college are cognizant of their candidates’ lack of work experience so they look to other accomplishments to set them apart. Fresh job seekers should take inventory of their skills as they could stand out in place of experience. Employers are always looking to fill their positions with people who have basic computer skills including Microsoft Office or other relevant software. Additionally, they like to see candidates who have problem solving skills, communication skills, the ability to work on a team, strong work ethics, flexibility, and attention to detail. Everyone likes to think they stand out in a crowd, and perhaps you do in person. On a resume that might not be the case; you could look like everyone else with similar education and experience. One way you do NOT want to stand out is with mistakes in spelling, improper word use (their vs. there), poorly formatted text, and odd-looking fonts. It is vital your resume conveys what you have thus far achieved and what you can offer a company as clearly as possible. A professionally prepared student resume will help you to avoid mistakes and present yourself as a candidate above the others. Managers in Fort Lauderdale need professional management resumes that can take them to the next level in their careers. If you are hoping to land your first job as a manager or a seasoned manager seeking a management position at a new company, your resume is what speaks to hiring personnel on your behalf. If you are trying to take your career to the next level with your first management job, you might find yourself unsure of how to represent your current experience as management potential. The first step toward being in charge of others is to be certain you can demonstrate you are in charge of yourself. You need to prove on your resume that you are not only good at your job but you also can share your strengths with others. This will set you apart from people that are just good at what they do but not necessarily cut out for management. Even if you are hoping to land your dream position in a long management career, it is important to find out what the manager does at any given company. The manager’s hat is not one size fits all, the position can vary widely from company to company. It never hurts to brush up on your management skills by reading books on leadership and management as well as checking out manager-oriented websites. Of course, all of that experience may not matter if your resume does not highlight your skills and accomplishments as a manager. Hiring personnel want to see how you succeeded when faced with the challenges of budgets, training, and performance milestones. A professional resume will not only highlight your successes but will also call attention to your leadership and communication skills as well as define how effective you are in project management. Plantation residents seeking government jobs take the lead when they have a professionally written federal resume. As with most private sector companies, your resume is your introduction to the government entity you are seeking to enter. And similar to private companies, hiring personnel likely have stacks of resumes and applications to cull through for a limited number of highly prized jobs. Those new to the federal job arena as well as people moving through the ranks as government employees all face stiff competition and the one thing that will make them stand out is a great resume relevant to the government position they are seeking. As much as people hear how great it is to work for the government, it is not for everyone. Once you have determined it is a path you want to take, you will need to prepare yourself for the process of applying for a government job. It is important to read and understand the job announcement. Be certain you have the qualifications listed in the KSAs and can perform the duties listed in the job description. The federal government usually has instructions on how apply for their positions which could include a preview of the assessment questionnaire. There is often a several step application process, which differs from most private sector jobs, before you even get to submit your resume. Following this process will help you to be certain your training, experience, and education match the position requirements; it also helps to weed out mismatched applicants, in effect saving hiring personnel time. It is crucial your professional federal resume reflect you have the requirements and KSA qualifications listed in the job announcement. As previously mentioned, federal government positions often have well defined requirements including level of education and relevant experience for a certain period of time. A professionally written resume will properly show each of your work experiences listing month and year start and end dates, hours worked per week, level of experience (team member, management, etc) and highlight your relevant accomplishments and experience in a way that proves you can perform the tasks in the job announcement at the required level. It is important your resume reflect you have experience to match all of the position’s KSA qualifications. Resume professionals of Plantation understand it takes more than just your work experience to land a federal government job. In addition to your experience, a truly comprehensive and professionally written resume will also demonstrate how your roles within your community, including leadership roles and volunteer work, speak to your ability to perform the job. They also understand the federal government looks at dollars and cents and will include examples of how much money you managed, earned, or saved, if relevant, on your resume, in addition to how you managed or saved time. By having your federal government resume professionally written you can be more certain you have checked all the boxes and presented yourself in the clear and concise manner federal hiring agents are looking for. Plantation and the greater Fort Lauderdale area offers experts at writing job winning pharmaceutical resumes. Currently, the pharmaceutical industry is booming. More and more people are flocking toward careers in the industry because of the potential it offers for income, benefits, and career expansion. Pharmaceutical sales is a popular career choice among people fresh from college as well as those looking for a career change. A professional resume could help you get into this prominent and ambitious field. The pharmaceutical field is expanding faster than ever in part due to the fact that people are living longer with high expectations for quality of life. Moreover, patients are opting to receive their clinical treatments at individual treatment centers or at home rather than in the hospital. As the baby boomer population ages, their impact on the pharmaceutical industry increases as well. Touted as one of the most stable and biggest businesses in the world, this so called “recession-proof” field is not only popular for its income potential and growth opportunities, it also boasts benefits or “perks” such as great health care, flexibility, and often, use of a company car. With all of this in mind, it is no wonder the industry looks so attractive to so many job seekers. A career in the pharmaceutical industry also carries with it an air of importance, after all, a sales representative sells their very specialized equipment and drugs to highly respected doctors in clinics, hospitals and doctors’ offices. A professional pharmaceutical resume is the key to breaking into this fast-track industry. 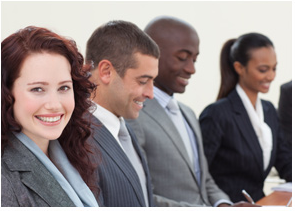 Hiring personnel are looking for a wide range of qualifications in applicant resumes. Many companies look to hire only those with college degrees, but that does not necessarily count out someone who has either a clinical or healthcare background, or a strong sales record. If you are looking for a career as a pharmaceutical sales representative but do not have a college degree, a professional resume with emphasis on your relevant experience could put you in the running with those who have the preferred education. Drug companies often get hundreds of applicants for each posted opening. Just what these companies are looking for may vary slightly from business to business, but there are common traits all drug companies are seeking. Experts in the pharmaceutical field indicate those who’s resumes convey they are motivated, energetic, goal-driven problems solvers get noticed. A resume showing you are independent, ethical, confident, and a team player tells employers you might make a difference in their company. A professional pharmaceutical resume will clearly tell your story by highlighting what will make you, above everyone else, the best choice for the position. More than some other industries, pharmaceutical companies often invest a substantial amount of money in their new hires. For this reason, they want to be sure they get the best candidate from the start. Your professional pharmaceutical resume may be the most important and first step toward getting the career you really want. Senior level job seekers get noticed with executive resumes written by professionals in Fort Lauderdale. Professionals seeking an executive position have likely been in the business world for some time. They may have even had the experience of participating in the employee hiring process in their roles as an executive. Many senior level employees have seen their share of potential candidate resumes and feel pretty confident their own resumes will stand out among others vying for the same executive position. Unfortunately, some executives may fall through the cracks when it comes to highlighting themselves on their resumes by not representing themselves in a way that is relevant to these times. A professionally written executive resume will illustrate your worth to a company, making the most of the all important executive summary. As an executive, you have proven yourself to be a leader with a proven track record, that is how you got to the position you are in. What you need to show is exactly how your obvious skills will benefit the company you are interested in. This goes beyond the typical listing of your accomplishments and skills, you need to prove yourself as an obvious missing piece to the hiring company’s puzzle. The best way for you as a top level candidate to articulate your worth is with an executive summary highlighting the most important ways in which you can benefit your potential new company. It is imperative your resume reflects how you positively impacted your former company’s growth, bottom line, staff performance, and company business performance. 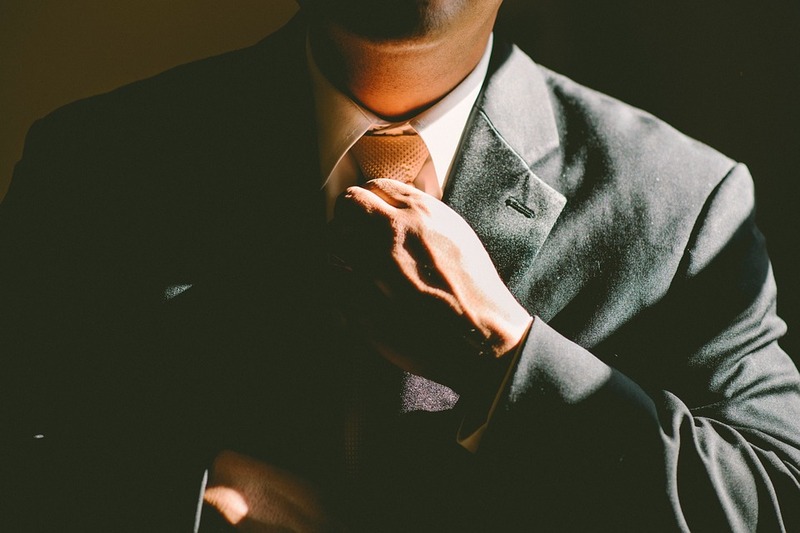 Professional executive resumes can lead potential hiring personnel directly to the impressive numbers and results considered to be your “Key Accomplishments,” allowing your resume to stand out and get you noticed as an extraordinary candidate. An executive resume written by professionals can shine the brightest light on your areas of expertise. As an executive, hiring companies will look beyond your expertise in Microsoft Office and your ability to supervise staff; they want to see how you can really make a difference on a grander scale such as mergers and acquisitions, employee development, management changes, global strategy and beyond. Your core proficiencies can make you more relevant to a hiring company than other candidates which is why it is vital to make them visible on your resume. The professional resume writing team in Fort Lauderdale and Plantation can make your resume stand out among many. A professional resume is essential to landing a job in today’s competitive job market. Creating a resume that will make you stand out as the ideal candidate for your chosen job can be daunting. Building a professional social media profile that portrays who you are and what you do can be discouraging if you do not know where to begin. The consultants as MyExpertResume.com have the ability and experience to assess your qualifications and gauge how they relate to your employment goals. The myexpertresume.com website offers a complete view of our professional resume writing and LinkedIn profile development services.